This plan view shows the workings of the bell crank, depicted in yellow. As the control lines are operated, the bell crank moves through an arc about its centre pivot. 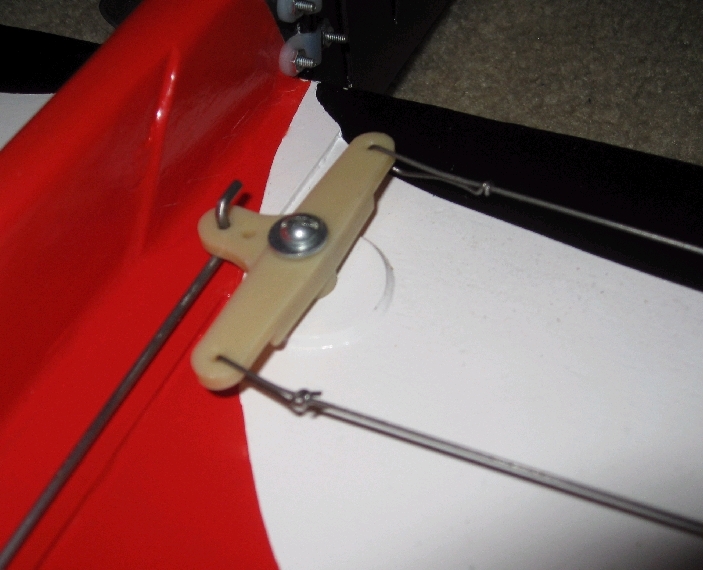 This movement causes the push rod to move back and forth, operating the elevator. 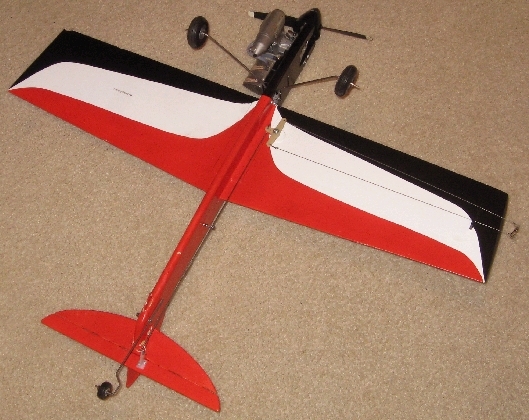 The following series of pictures shows the bell crank installed on a FliteStreak Trainer. 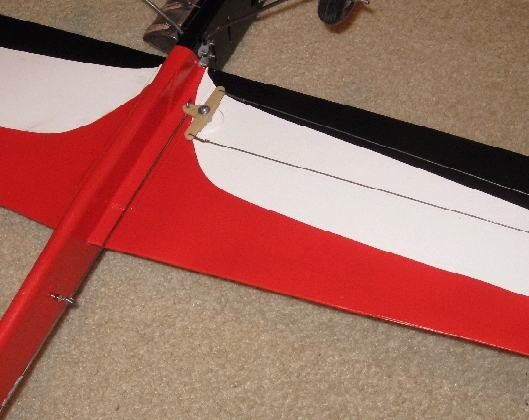 Note the pictures show the underside of the wing; the control lines are on the left wing.